Dr. Anthony M. Jacobi is the Richard W. Kritzer Distinguished Professor of Mechanical Engineering and Co-Director of the Air Conditioning and Refrigeration Center in the Department of Mechanical Science and Engineering at the University of Illinois at Urbana-Champaign (UIUC). He earned his associate degree in mechanical technology in 1981 and a bachelor of science in mechanical engineering in 1984, both from Purdue. After receiving his BSME, Dr. Jacobi attended the University of Central Florida where he earned a MSME in 1986 before returning to Purdue to earn his Ph.D. in 1989. After earning his Ph.D., Dr. Jacobi served as an assistant professor in the Department of Mechanical Engineering at Johns Hopkins University for three years before beginning his career at UIUC in 1992 as an assistant professor. He became associate director of UIUC’s Air Conditioning and Refrigeration Center in 1997 and co-director in 2001. Dr. Jacobi conducts research in the area of heat and mass transfer, with an emphasis on two-phase flows, convection in complex flows, and thermal system modeling. His research has contributed to the development of next-generation end-use energy systems that are more efficient and more environmentally friendly than existing technologies. Dr. Jacobi has published over 100 archival journal articles and over 70 conference papers based on his research. As the co-director of the Air Conditioning and Refrigeration Center (ACRC), Dr. Jacobi oversees a multidisciplinary research program, recruits sponsors, and manages the center’s core research program and activities. The largest center in the nation devoted to research in heating, ventilating, air condition and refrigeration, the ACRC has an annual research expenditure of around $3 million and is supported by approximately 30 industrial partners around the world. Dr. Jacobi currently serves as Associate Technical Editor for the Journal of Energy Resources Technology, published by ASME, and the Associate Editor for the International Journal of HVAC&R Research, published by ASHRAE. He is a Fellow of ASME (2011) and ASHRAE (2009). Dr. Jacobi has also served as a guest professor at Zhejiang University, Hangzhou, China since 2007. He received the E. K. Campbell Award from ASHRAE in 2004 and the ASHRAE Distinguished Service Award in 2003. 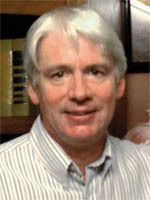 Dr. Jacobi has received numerous awards from UIUC throughout his distinguished teaching career, including the Rose Award for Teaching Excellence and the Accenture Award for Excellence in Advising from the College of Engineering in 2003, the Five-Year Alumni Effective Teacher Award from the Mechanical and Industrial Engineering Alumni Board, and the Engineering Council Advisor List for Outstanding Advising.